One way to keep me motivated is by wearing cute workout clothes. My favorite places to shop for workout gear are Victoria's Secret (many people don't even realize they have a sport line) and Athleta. 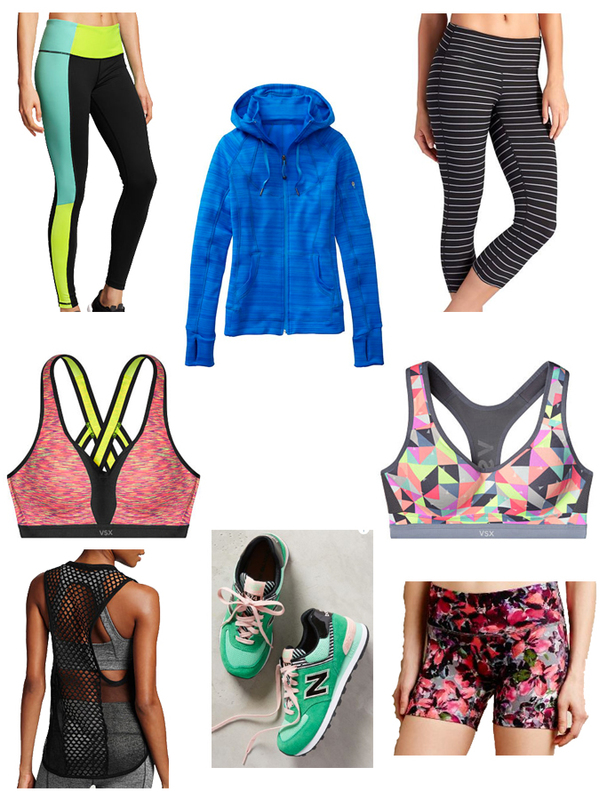 Anthropologie recently started selling activewear, and I'm anxious to check it out! If I keep it up, I think it might be time to reward myself with a new outfit. Some of my favorites are below! After a not so great month diet and exercise wise, I'm pleased to say I'm back on track...and ready to get fit 2015! December is always a horrible month for me as far as eating sensibly goes...all the normal holiday stuff plus my birthday does not equate to healthy food. But I'm putting that month behind me, I'm back on the 21 Day Fix (you can read more about my experience with the program here), and I'm up way too early every morning to exercise. How do you stay motivated to work out / eat healthy?